We welcome any Pharmaceutical Intermediates, API & Chemicals Enquiries. 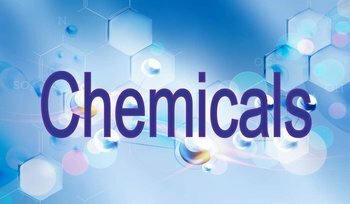 We can also procure Agro Chemicals & Intermediates, Dyes Chemicals & Intermediates, Specialty Chemicals, Bio Chemicals, Fine Chemicals and Industrial Chemicals & Solvents and can arrange for tailor-made product as per your requirements. Through a team of experienced and energetic staff and its own distribution network, It also offers C&F activities and distribution arrangements to manufacturers / importers who are interested in marketing their products in India. We have vast range of Various Chemicals which we directly import, stock & sell. Apart from this we also indent these products for our reputed clients. We are one of the leading chemicals traders. We hold agency agreements with renowned companies based in India & abroad to market their products all over India. ChemiSyn has been continuously working on sourcing products from various reputed manufacturers across the globe to market their products in India. Based on our expertise and our control over the entire supply chain, we bring to you high quality bulk actives and intermediates at extremely competitive prices.